On April 11, 1979, Nam Nguyen, 12, escaped southern part of Vietnam from city of Ben Tre with three cousins on a small boat that carried 68 people. Two days later his boat encountered repeated pirate attaches in the Gulf of Thailand, and then faced a violent sea storm throughout the third night. The next morning the people of his battered boat were rescued by a ship named Akuna, which was funded and operated by the humanitarian agency Food for the Hungry International. Nam's boat was the first group of Vietnamese boat people to arrive in Pulau Buton, Indonesia, about 80 miles southeast of Singapore. The small island quickly became a refugee camp for only about a year, from late April 1979 to early summer 1980. Nam and his cousins stayed in the Pulau Buton camp for almost seven months before immigrated to the U.S. on November 27, 1979. 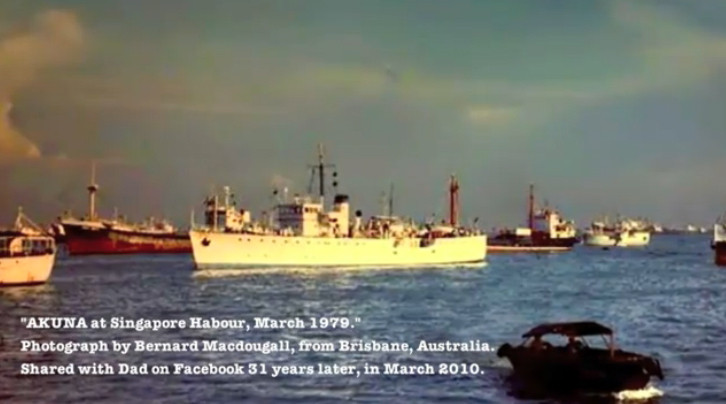 In April 2011, more than three decades later, Nam and his 10-year-old son completed a short documentary movie about his 1979 boat journey and escaped from Vietnam.